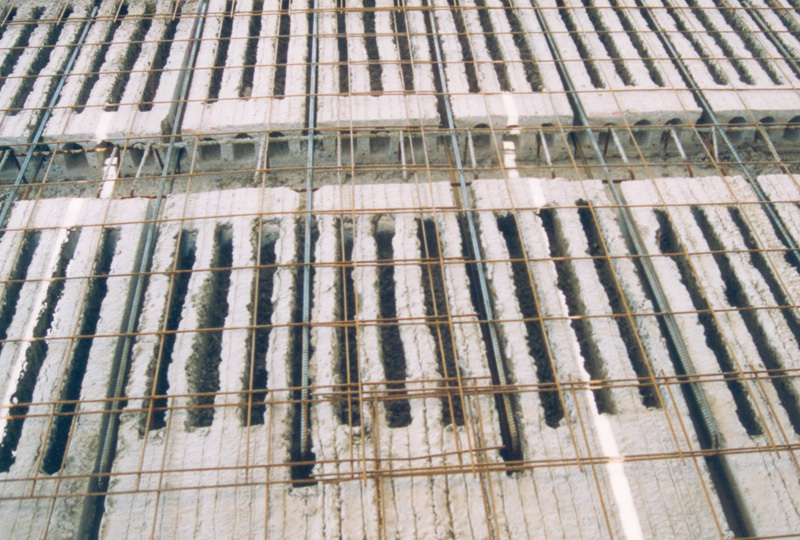 Hollow core slabs are prestressed concrete elements that have a constant cross section. They are manufactured using high tensile strength prestressed strands or single wire which are embedded within the element. The production of these elements is achieved using our Extruder, Slipformer and Wet Casting machine that cast in one phase along a production bed without the need of any formworks. 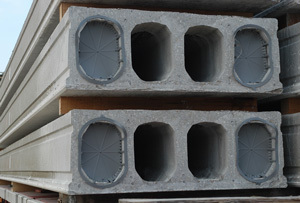 Hollow core slabs are highly developed structural elements and are used all over the world due to their many advantages and diverse applications. Today they are one of the most well-known prefabricated elements because of their technical and economic characteristics. 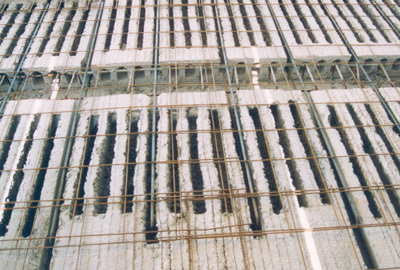 Hollow core slabs are widely used for flooring and wall panels in industrial, commercial, residential and infrastructure construction. 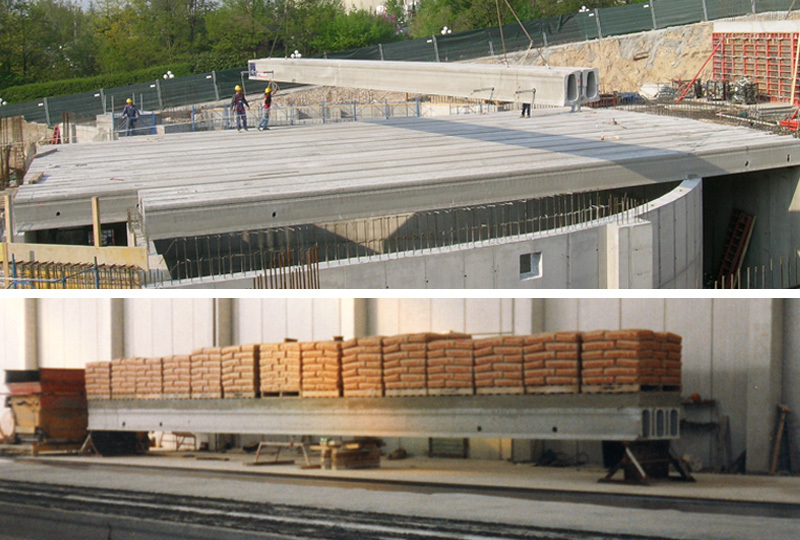 Hollow core slabs can be used with different supporting structures: concrete constructed walls, brick built walls, steel structures, on-site concrete cast structures, prefabricated beams etc. 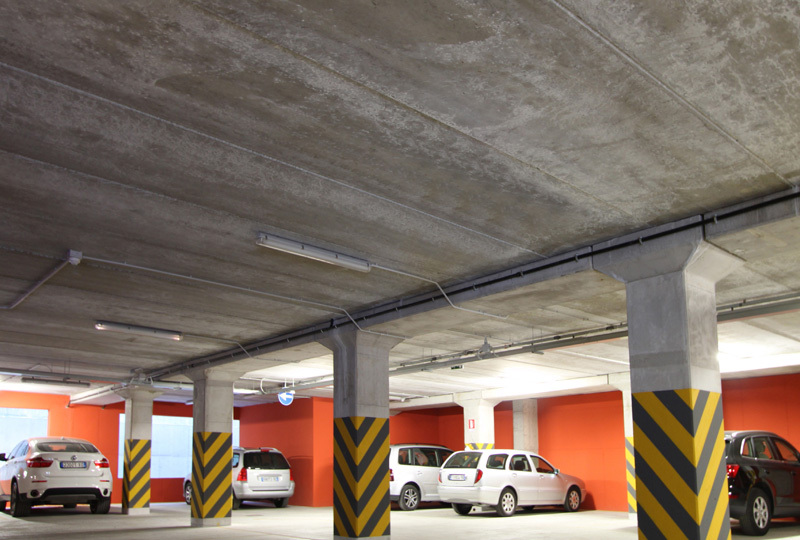 Moreover hollow core slabs possess certifiable fire resistances and offer an economic solution to construct fire stop walls for warehouses, industrial buildings and car parks. 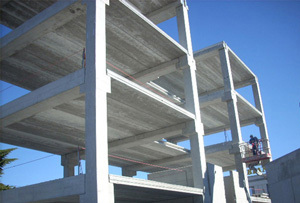 By using specific equipment for the manufacture of the concrete elements and a high end quality control system. The lower surface of the element is smooth having a steel formwork finish. Generally this surface can be left as seen or can be simply painted. 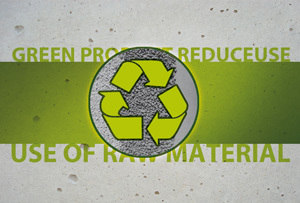 The produced elements have high load resistances thanks to a low water/cement ratio of concrete from 0.32 to 0.38. 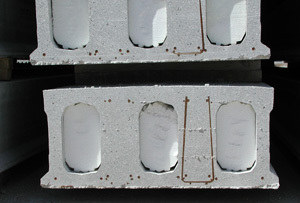 Higher water/cement ratios cannot be employed for the production of desired cross sections without the use of expensive formworks. 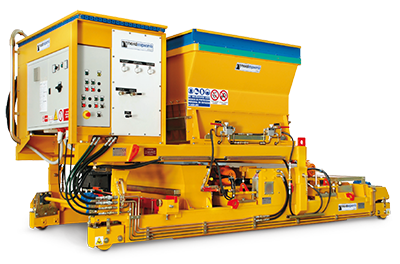 Even though the low water/cement ratio employed makes the concrete hard to work, NORDIMPIANTI’s machines have no difficulty producing particular element shapes with high levels of reliability. 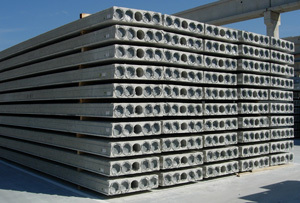 Hollow core slabs have a wide range of applications. 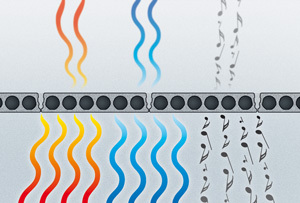 They can be produced up to 25 m long. They are very common in the residential, healthcare, education, industrial and commercial markets and also in seismic zones. 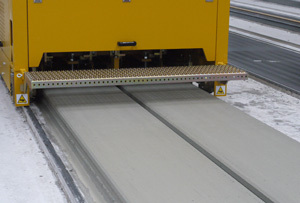 It is possible to manufacture elements with end openings that are then filled on-site in an orthogonal direction to the floor creating solid ends to increase shear resistance. 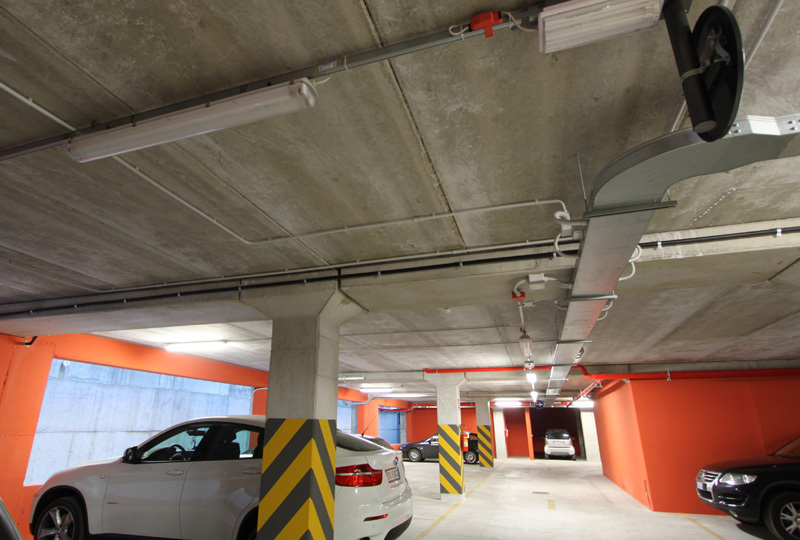 Hollow core slabs are ideal for the mounting of ancillary plant such as electrical trays, water sprinkler and HVAC systems. 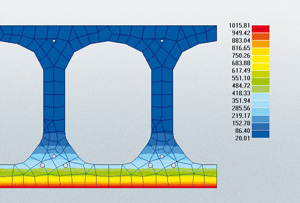 The presence of longitudinal voids in the cross-section leads to approx. 50% saving in concrete compared with a plain cast in-situ reinforced slab, and at the same time cuts the amount of prestressing steel by 30% because of the lower self-weight. 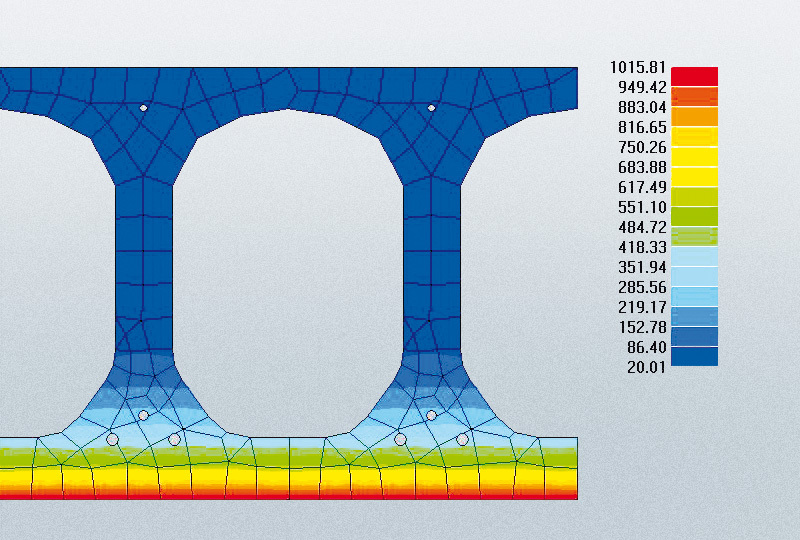 Large production volumes with uniform cross sections even with different cable reinforcement configurations.Once the concrete elements have been produced they can be removed from the casting beds after just 6-8 hours. 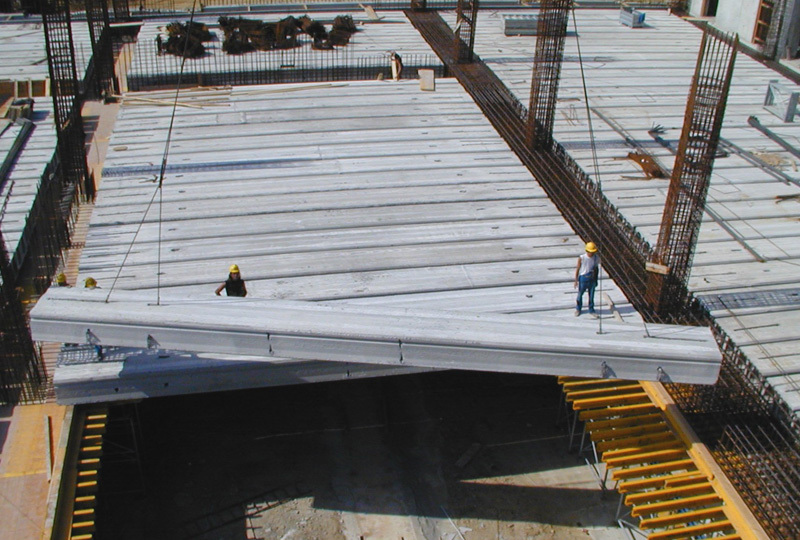 The use of high tensile strength prestressed strands, wires or single wire means that the prestressed elements have smaller cross sections using concrete more efficiently and thus achieving elements of the highest quality. Smaller cross sections mean lighter panels reducing the cost of transport and allowing easy handling both on-site and in the production plant. Precast prestressed hollow core floors offer maximum efficiency to the user. Due to the slenderness of the products and long span capacities, they allow for maximum exploitation of the available building space. 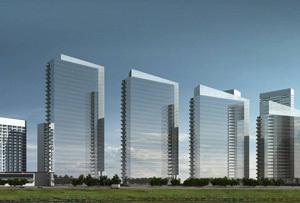 The figure shows a vertical section through a tower building of 37 floors. The total floor slab and topping is only 40 cm. Compared to the classic in-situ construction, it has been possible to add one more storey within the maximum building height imposed by the town planning directives in San Paolo, Brazil. 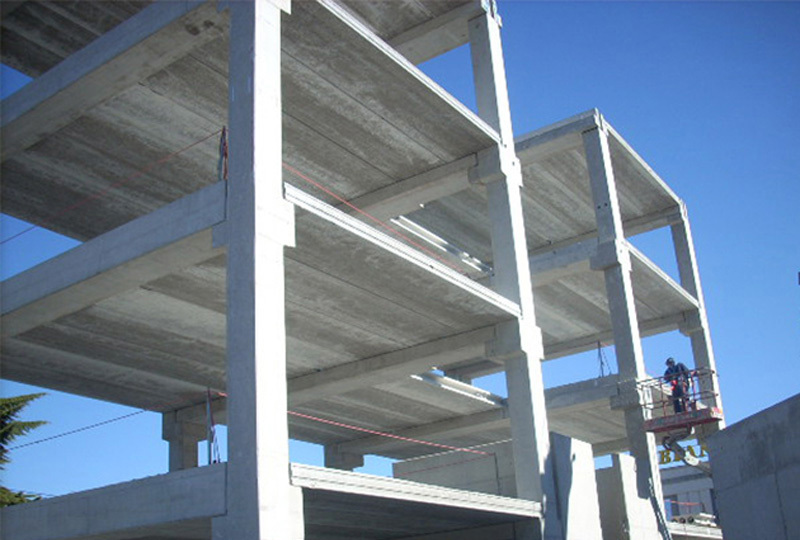 The element guarantees high fire resistance because of the Extruder and Slipformer technologies used for element production and also due to the low cement/water ratio used in the concrete mix. 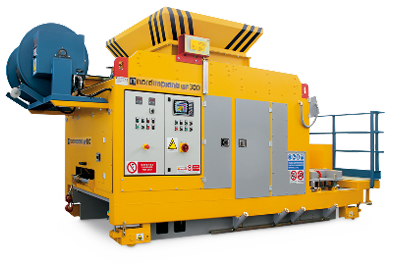 The quality of the casting machines guarantees a high compaction level and impermeability combined with a high mechanical resistance. Applicable to all loads and spans meaning that there is no need for supports during installation. 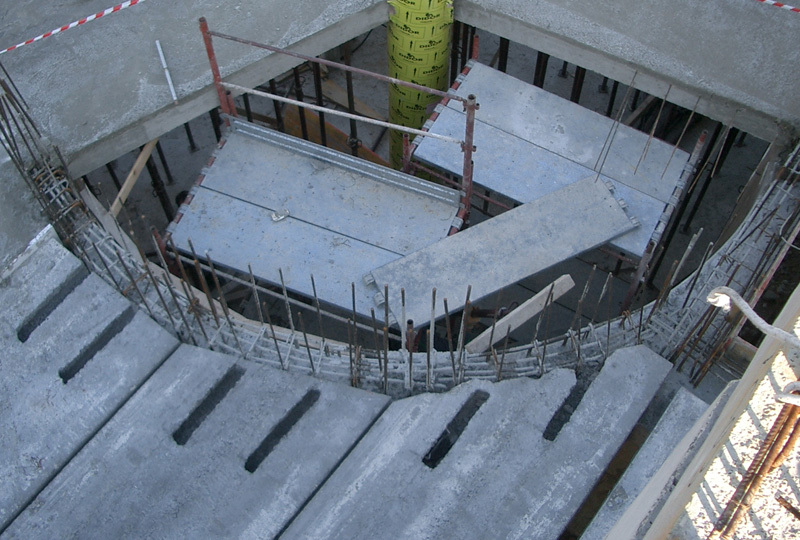 It is possible to load the floor immediately after installation, even without any in-situ concrete casting. Hollow core slabs have good sound insulation properties, especially against airborne sound transmission, reducing noise from the external environment and in providing sound separation between rooms below and above. Impact sound insulation properties are similar as with other solid slabs and depend merely on the type of floor covering. 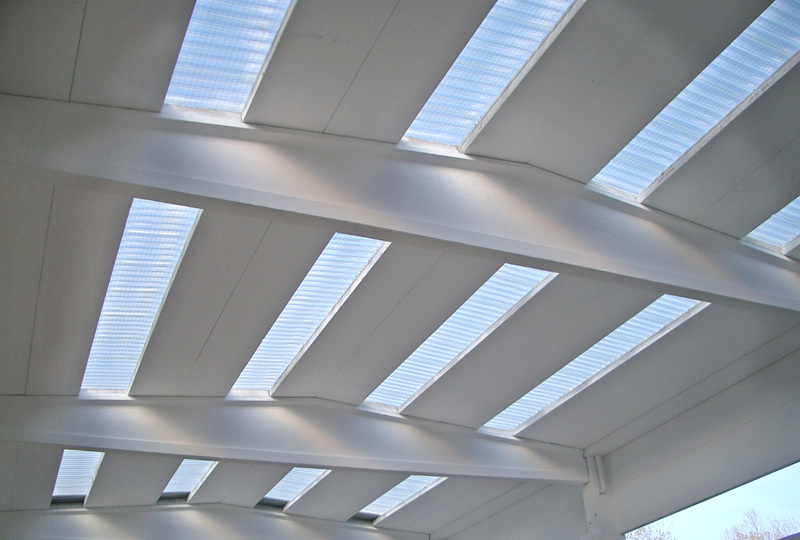 A better and more fundamental solution is to use structural methods as raised floor or floating floors. The raised floor system is however seldom used in residential buildings. Hollow core slabs are economic with their use of materials. 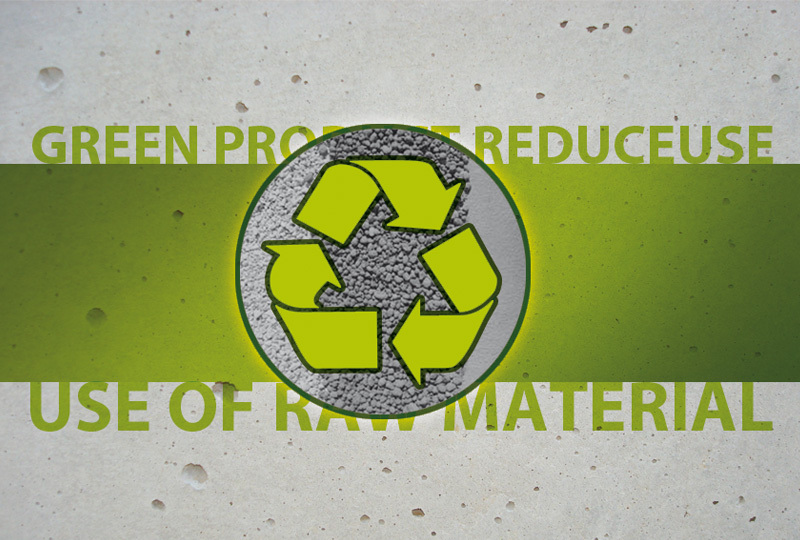 One reason is that precaster normally uses fairly high concrete and steel grades, consequently the products use less materials to achieve the same load bearing capacity as cast in-situ structures. The smaller dimensions result in less dead load to carry. 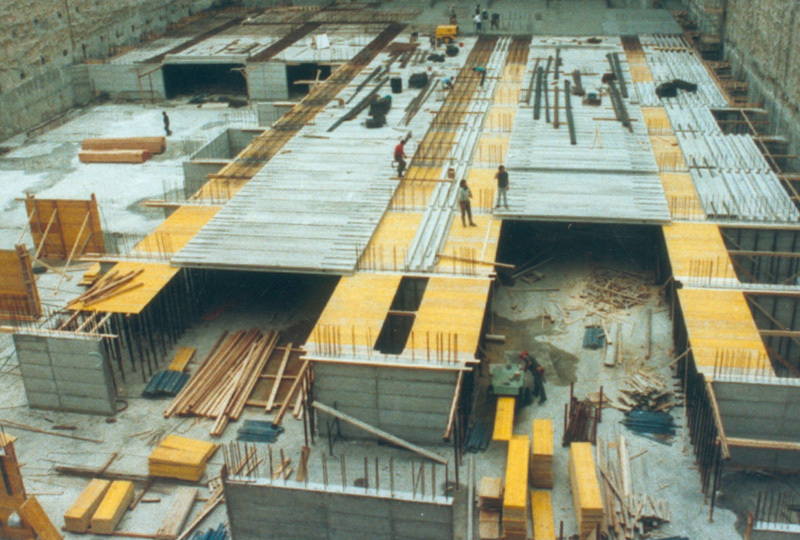 Hollow core slabs are better than other types of floors, because of their efficient use of materials. 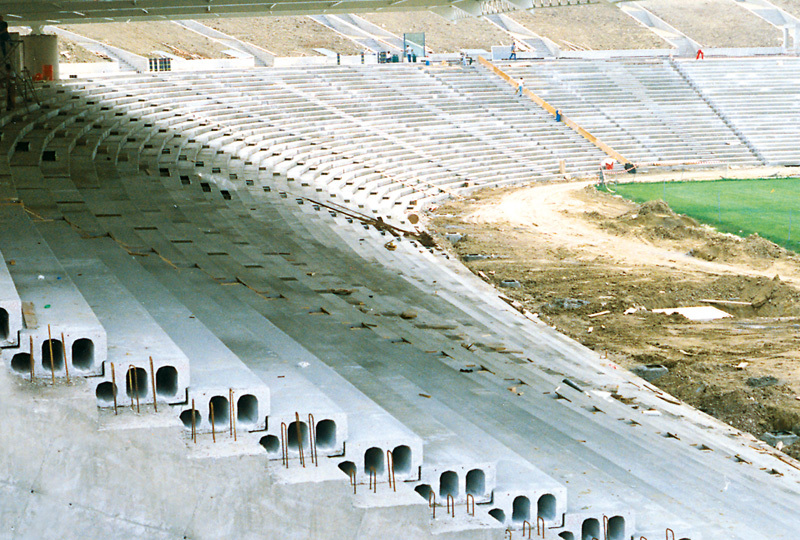 The presence of longitudinal voids in the cross-section leads to about 45% saving in concrete compared with a plain in-situ cast reinforced slab, and at the same time cuts the amount of prestressing steel by 30% because of its lower intrinsic weight. 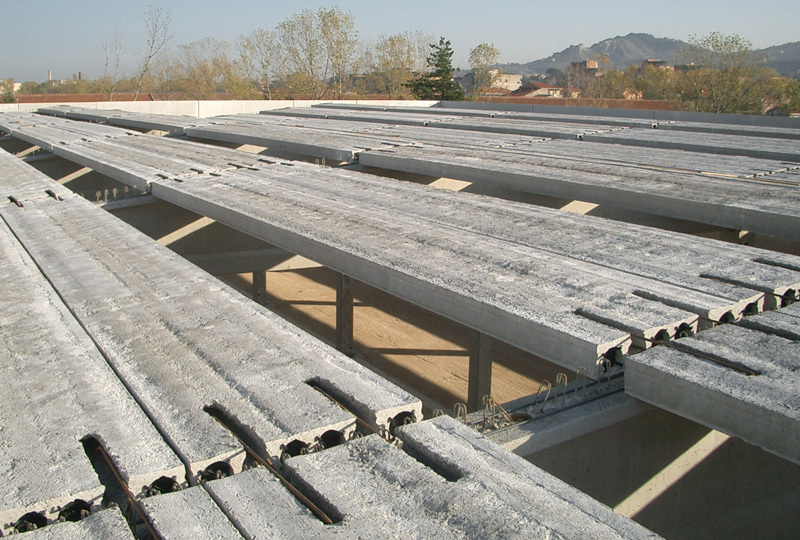 Hollow core panels fully satisfy the anti-seismic standards of the most developed countries. For this specific purpose the floor elements can be connected to each other using steel reinforcement during construction in order to create floor continuity even without the concrete topping. 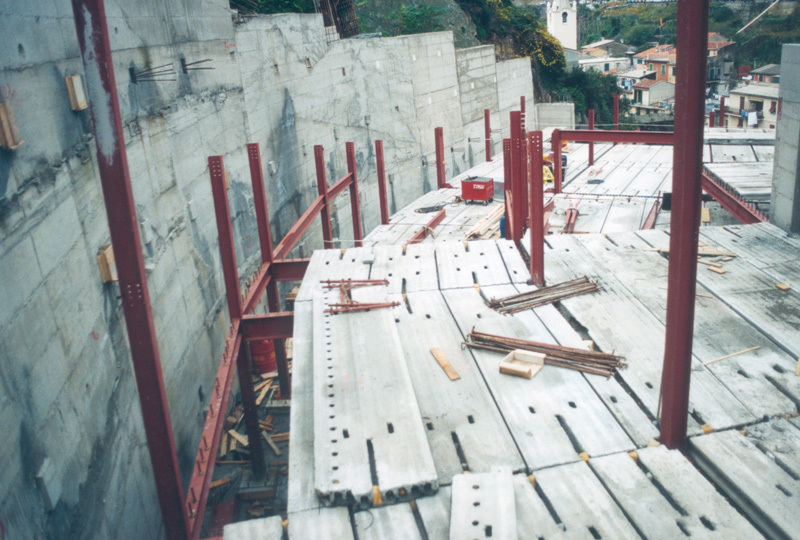 This gives the floor the correct static characteristics required for seismic zones. 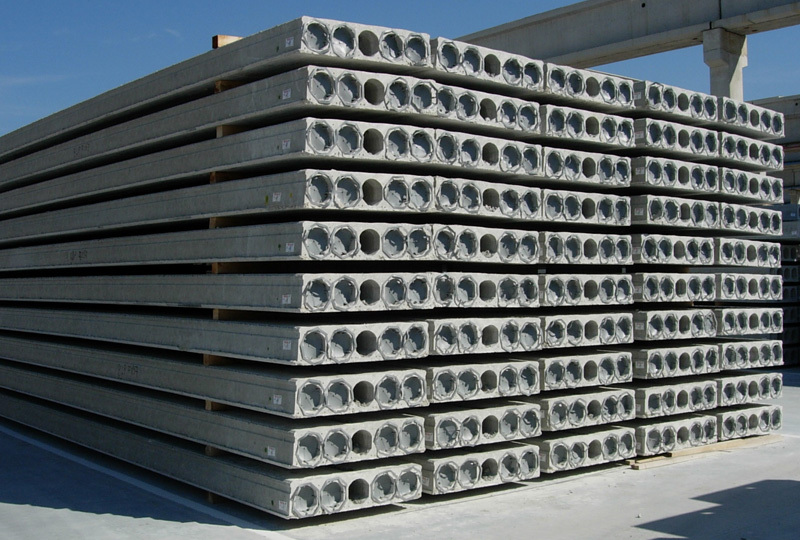 Possibility to change the dimensions of the concrete elements and the prestressed steel wire configuration according to the technical specifications of the element required. It is a simple and quick operation to change the necessary parts of the forming insert of the casting machine to vary the height and the thickness of the concrete elements. 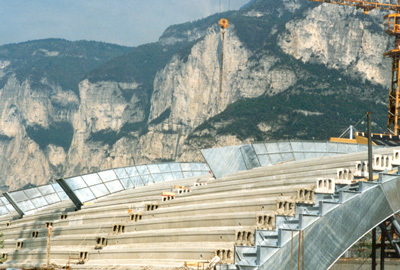 For the most demanding applications or in case of high concrete elements, the lower part of the element and the vertical ribs are reinforced with steel mesh and connection bars. 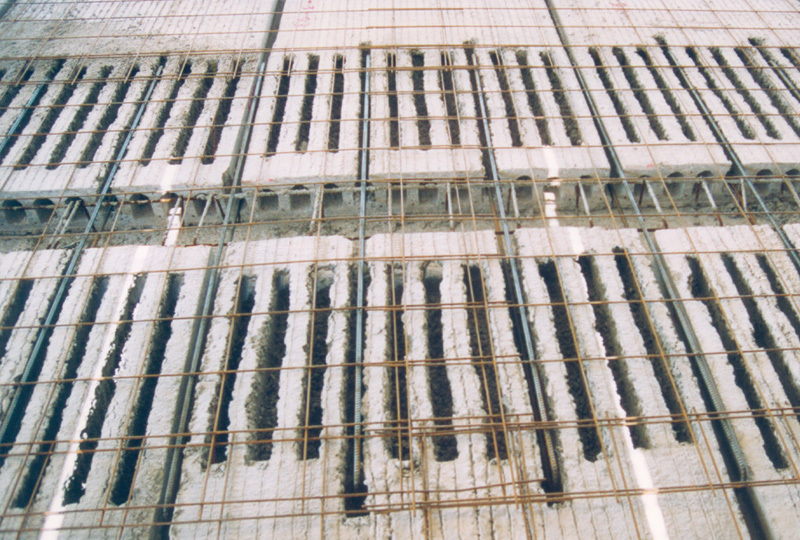 Hollow Core Slabs have many applications in residential, social, industrial, commercial and infrastructure construction where elements with high loads and up to 180 minutes of fire resistance are called for. 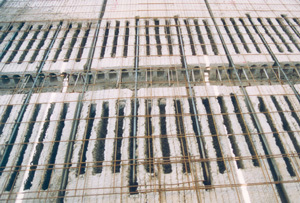 It is possible to connect the floor elements using steel reinforcement during construction in order to create floor continuity giving the floor the correct static characteristics required for seismic zones. 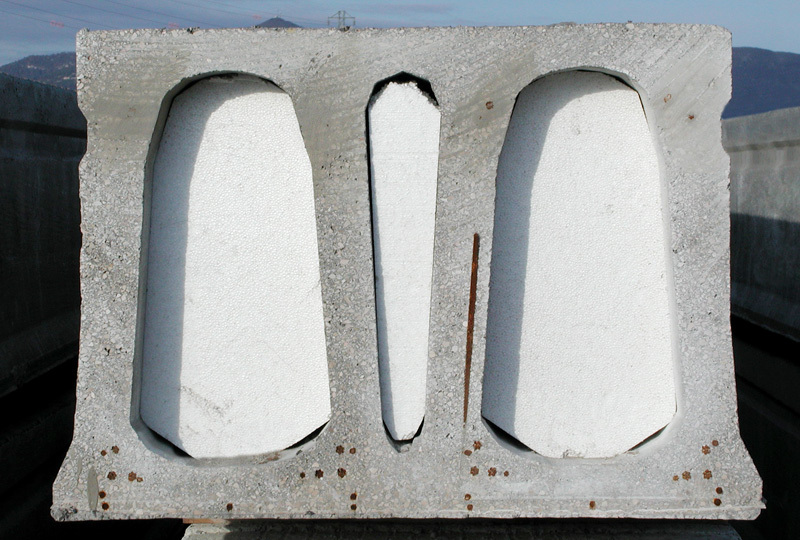 Hollow core slabs can be produced using three different types of casting machines depending on the technical and geometric characteristics required. 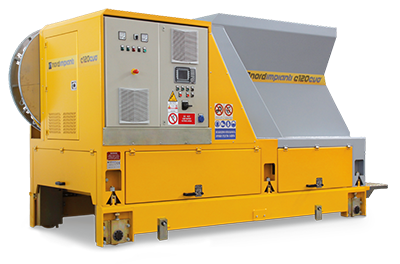 Nordimpianti is able to provide all three casting machines offering its customers the technology most appropriate to their specific needs.